Open up your browser and log in to GoDaddy Webmail. Make sure you are in the Updated View, not the Classic view. This makes installing the email signature easier. 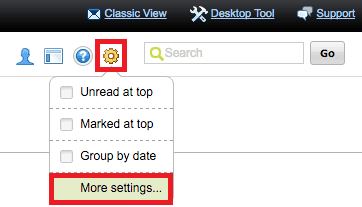 On the Email tab at the top, click Settings and select More Settings. Under the General tab, in the Email Signature section, make sure that “Automatically add signature to new messages” option is ticked. You can also tick the “Include signature in replies” option if desired. 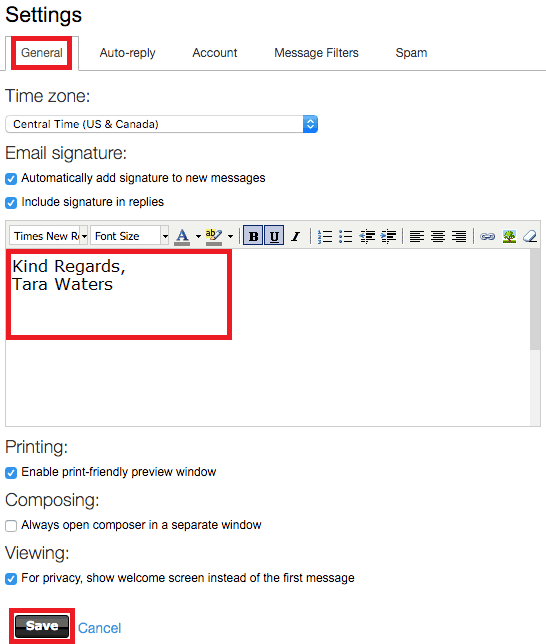 Paste your HTML email signature into the text box and click Save.